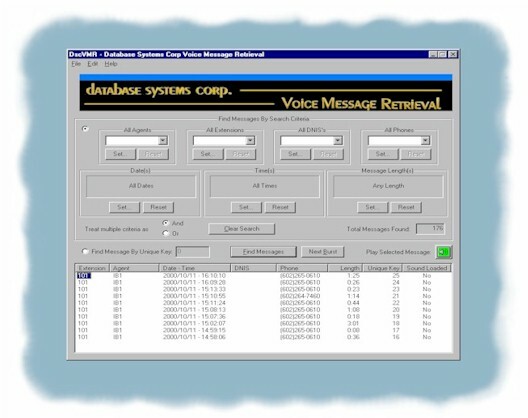 Call Recording Retrieval with Predictive Dialer at Database Systems Corp.
Predictive dialing is a feature of the PACER phone system where outbound calls from a user selected list are automatically initiated and answered calls are passed to available service agents. Using our predictive dialing algorithm to determine the average time it takes to get a live answer and the average length of each conversation, the PACER predictive dialer automatically places an appropriate number of outbound dials designed to minimize the time between answered calls (wait time). Since the service agents do not have to wait while the phone rings or listen to busy signals, telephone company recordings (operator intercepts), and answering machines, talk time dramatically increases. How Does Predictive Dialing Save You Money? Predictive Dialers can dramatically increase the productivity of any call center where the telephone is used as the main form of contact. In a typical manual outbound call center, service agents are talking only on average 20 - 30 minutes out of an hour. Predictive Dialers have demonstrated talk times in the 45 - 50 minute range, giving you an increase in productivity of nearly 100%! That translates into direct savings, either by allowing your call center to handle more calls per day with the same number of agents, or by allowing you to reduce your staff significantly, while handling the same call volume. Plus with our unique predictive dialer software, the PACER has the ability to handle multiple inbound/outbound calling campaigns, maximizing the mix of your call center service agents. Predictive dialing software and systems save you time and money because the phone system is eliminating non-productive calls. But the PACER can go even further. Using Smart Message Dialing features, the PACER Predictive Dialers can pre-qualify calls and only pass calls to your agents that express an interest. Since more than 90% of predictive calls result in "No Interest", your organization can realize tremendous savings. Combining predictive and IVR features with our Text To Speech Software, the PACER plays a pre-recorded message and lets the called individual make touchphone selections to continue. 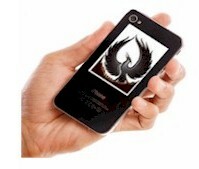 They can talk with an agent, request a call back, or even leave a recorded message.